FM Approvals is uniquely positioned to assist manufacturers in taking advantage of both Division and Zone classifications for hazardous locations. Provide a certification mark that is globally recognized. Single source for global certification and product updates. FM Approvals can help reduce time-to-market. Minimize annual certification costs over product life cycle. A resource for understanding the certification requirements in your global market. FM Approved products, including those for hazardous locations, are listed in the online Approval Guide at www.approvalguide.com. Hazardous locations can be found in many industries, including refineries, fuel storage facilities, dry cleaning plants, paint finishing area, grain elevators, flour mills, plastics processors and candy factories, to name a few. When it comes to incidents involving hazardous locations, electrical devices, wiring and circuits are major culprits. There are two primary systems used in the world to classify hazardous areas: the Class/Division/Group system and the Zone system. Until the introduction of the Zone system in the 1996 NEC, the only area classification system used in the United States was the Class/Division/Group system. Under this system, hazardous materials are classified into three classes. Class I hazards include gases, vapors and liquids that can burn or explode. Class II contains combustible dust such as flour, sugar, aluminum or magnesium. Class III includes ignitable fibers or flyings such as cotton. Each of these three classes is further subdivided into two Divisions, with Division 1 encompassing hazards that are present under normal operating conditions or present frequently during maintenance or repair operations. Division 2 includes hazards that can exist under “unusual” circumstances. In other words, under this scheme, an area classified as Class 1, Division 1 would represent the most hazardous area within that class. The last subdivision within the NEC area classification system is Groups. Seven Groups are used to categorize materials by their similar explosive or flammable characteristics. Groups A, B, C and D apply to Class I areas only and include flammable gases, vapors and liquids. Groups E, F, and G apply only to Class II areas where combustible dusts may be found. There are no Groups defined for Class III locations. In the Zone system, the practice of area classification is refined even further within the Class I area. The International Electrotechnical Committee (IEC) divides U.S. Class I areas into three Zones: Zone 0, 1 and 2—one more than the North American Division system. Class I, Division 2 is essentially the equivalent of Class I, Zone 2. Zone 2 is an area in which an explosive gas-air mixture is not likely to occur and, if it does occur, will exist only for a short time. Zone 0 defines those locations in which an explosive gas-air mixture is present continuously or for long periods during normal operation. An example of this would be the vapor space of a closed, but vented, process vessel or storage tank. Zone 1 includes the remainder of what would otherwise have been classified as Class I, Division 1. However, by isolating the worst hazards with a Zone 0 classification, designers are free to use less restrictive and less costly systems in the areas defined as Zone 1. The online Approval Guide contains thousands of listings of FM Approved hazardous location equipment and devices.  FM Approvals is accredited as a Nationally Recognized Testing Laboratory by the Occupational Safety and Health Administration (OSHA) in the United States, a Certifying Organization by the Standards Council of Canada (SCC) in Canada, an ATEX Notified Body in Europe, and a Certification Body under the International Electrotechnical Commission (IEC) IECEx scheme. These accreditations allow the development of a comprehensive examination and testing program addressing the requirements for multiple certifications. With the inclusion of Article 505 in the NEC, and the similarity in the “Zone” requirements, a U.S.-based manufacturer that offers zone-classified products for international markets can now obtain FM Approval of these same products in the United States, often with little or no modification. The alternative Zone system of hazardous location classification is still new for the United States; however, demand for Zone-classified equipment is growing steadily. The promise of reduced product cost and the opening of new markets is appealing to manufacturers and end users alike. FM Approvals is uniquely positioned to assist manufacturers in taking advantage of both Division and Zone classifications. Perhaps you are a manufacturer with a current Zone-classified product who would like to enter the U.S. market, or maybe you’re a U.S. manufacturer seeking to take advantage of the Zone classification scheme now available under the NEC. Either way, FM Approvals can help reduce your time-to- market and your testing costs. FM Global insured customers the world over. Cost? It is important to understand the product manufacturer’s pricing structure. Equipment for hazardous locations typically undergoes mandatory testing in most cases. Therefore, the cost of an FM Approved system should not differ much from other certified systems. When it comes to hazardous locations, the stakes are high and the dangers real. While it is difficult to completely eliminate the risk of human error in industrial accidents, correctly classified and FM Approved equipment and devices help to keep workplace hazards in check. A large oil project in Alaska required hundreds of fluorescent lights for a new installation. The lights, intended for an environment where flammable materials would be present only intermittently, could either be a Division 1 (continuous, intermittent or periodic) fixture or a Zone 1 (intermittent) system. The all-encompassing Division 1 rating would have required a very expensive and heavy system. FM Approvals worked with a European manufacturer to create a test program for a luminaire for use in Zone 1 locations. Instead of housing the entire light in a heavy explosion-proof case, the electrical components in the Zone-Approved light are individually protected using the principles of “Increased Safety” and “Flameproof.” The result is a much lighter, less costly luminaire.